Russia is ramping up its weapons sales to Southeast and South Asia, with Moscow overtaking Britain as the world’s second-largest exporter. While the domestic concern of Thais is the upcoming general election on March 24, broadly speaking it is a relatively small geopolitical event. Under the theme “Asean – The Power of One” the 38th edition of the Asean Tourism Forum (ATF) was successfully held at Ha Long City, Vietnam, from January 14 to 18. Bangkok is choking as military drones and fire trucks fight to bring air pollution under control. The World Bank has ranked every economy in the world based the ease of doing business. The range of factors considered when making the penultimate assessment can be read in detail here. 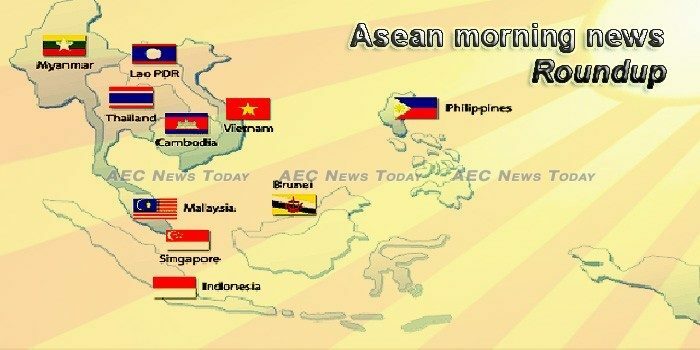 Cultures throughout the ASEAN Region, as well as other Asian countries, celebrate the Lunar New Year: in Viet Nam, it is called “Tet” while in China and other ASEAN Member States, the celebration is called “Chinese New Year”. The biggest state-sponsored mass statelessness in Southeast Asia was triggered in 1982, when Myanmar rolled out its Citizenship Law that outright deprived the Rohingya of citizenship. In May 2018, Indonesia was swept by a wave of terror attacks involving suicide bombers that targeted churches and the police headquarters in the city of Surabaya. Japan’s Yanmar Agribusiness Co Ltd. said on Tuesday that it plans to expand its business in South and Southeast Asia beginning this year with its newly launched tractors. (MENAFN) An Interior Ministry’s anti-drug department declared that Cambodian authorities have nabbed up to 1,485 illicit drug suspects in 632 cases in January 2019. A delegation of Cambodian firms is en route to New Delhi to attend Logix India, a trade fair where they hope to expand their networks in the world’s fastest-growing major economy. The government is creating a plan to preserve the Bolaven Plateau in southern Laos as an agricultural area and a tourist destination, putting an end to companies’ hopes to set up heavy industry plants in one of the most fertile areas of Laos. A delegation of the Nepal Communist Party (NCP) which is currently on a visit to Laos has met politburo member of the Lao People’s Revolutionary Party and Vice-president Phankham Viphavanh, at the party office at Vientiane, Laos. MALAYSIA’S total exports in 2018 expanded by 6.7% to reach a value of RM998 billion, compared with RM935 billion in 2017. The growth was largely contributed to by the electrical & electronic sectors, which contributed 38.2% or RM380.8 billion, rising by 11% in 2018. The Passenger Service Charge (PSC) is not set, fixed or controlled by Malaysia Airports Holdings Berhad (MAHB) or Malaysia Airports (Sepang) Sdn Bhd (MASSB), a wholly owned subsidiary of Malaysia Airports Holdings Bhd (MAHB), according to MAHB. An economist has attempted to explain the strengthening of the Thai baht against the ringgit amid the recent war of words over the state of the currency between Dr Mahathir Mohamad and former prime minister Najib Razak. Myanmar’s marine trade stood at USD7.7 billion as of Jan. 25 in the current fiscal year 2018-2019 which started in October. Myanmar’s central bank will allow foreign banks to hold stakes of up to 35% in domestic banks, part of reforms to boost capital levels and activity in the financial sector. Vietnamese e-commerce floors have been bustle with many items serving buyers and sellers as the T?t (Lunar New Year) holiday is coming. Along with 24 countries in the world, in Vietnam, Viettel and VinaPhone officially provide eSIM (embedded SIM) for their customers.